Refreshing gel certified for use in food processing facilities. Protects dispenser from ingress and abuse. Provides convenient access to PURELL® Hand Sanitizing Wipes. Easily removable adhesive allows for flexible placement options. Easily removable adhesive allows for flexible placement options. For use with 12 fl oz bottle. 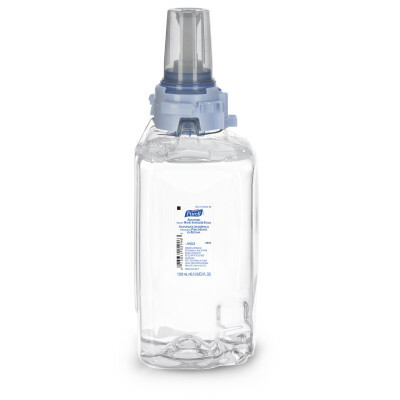 Floor stand dispenser for PURELL® wipes that allows placement anywhere.